As you've probably gathered by now if you're a regular visitor to this blog, we're massive space geeks. We do love child-friendly books that don't dumb things down too much, and dish up lots of interesting facts and figures about space. 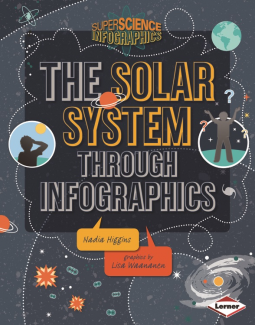 Though it hasn't got the catchiest title in the world, "The Solar System Through Infographics" by Nadia Higgins and Lisa Waananen really does pack a plutonium-powered punch. Starting off with the big bang, you'll learn all about how planets were formed, you'll learn about some of the historical theorists that have shaped our understanding of space and you'll also be ready with answers to a zillion and one different questions your youngsters might have for you about the inky black void our little blue world floats in. Our place in the galaxy. Makes you feel tiny doesn't it? Charlotte's best bit: Learning that according to some theorists, our galaxy may once have been a tiny superdense particle! 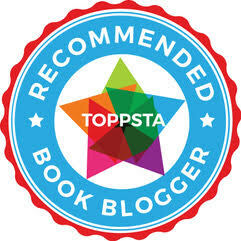 Daddy's Favourite bit: Wonderful colourful presentation that makes this book feel a bit like a printed version of "The Guide" from "The Hitch Hiker's Guide to the Galaxy" - Marvellous!